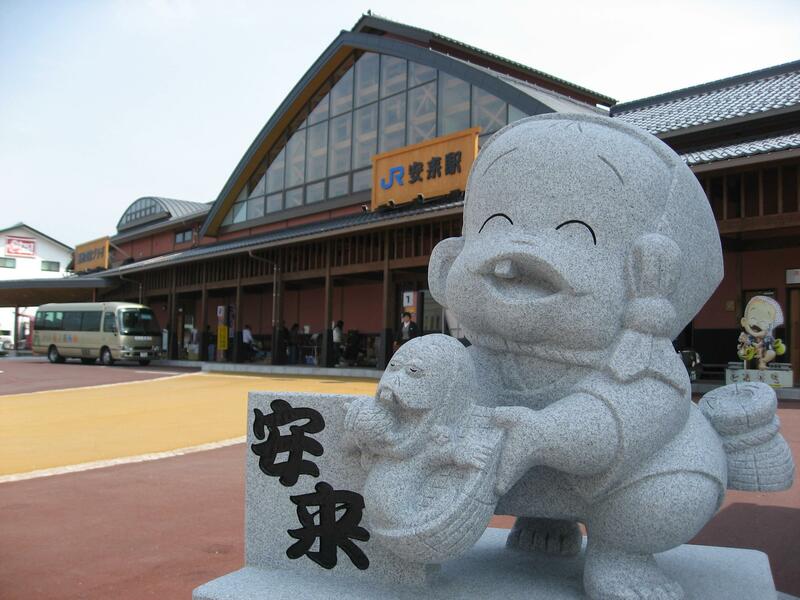 If you visit Yasugi City, you will see a smiling male mascot character with a wicker basket in his hands in many places. 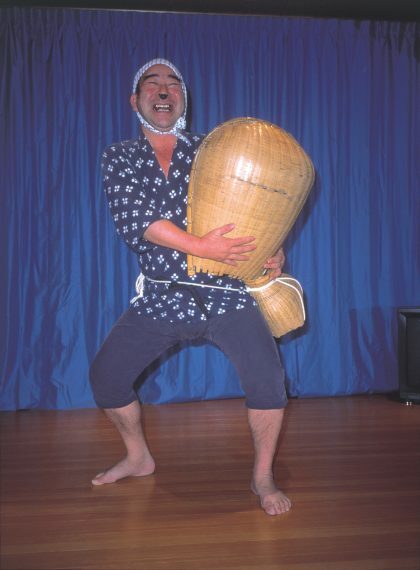 His name is ‘Ara-essa kun’ and he represents Yasugibushi and Dojou-sukui, both local folk performance and probably one of the most famous folk songs in Japan. Yasugibushi is one of the most famous folk songs in Japan. It is originated from local folk song sung in the mid Edo period around Yasugi area which enjoys beautiful rich natural environment and artless personality of people. In the late Edo period, as Yasugi area’s economy kept developing by exporting rice and metals through Yasugi port, many ships and people came from other part of Japan. 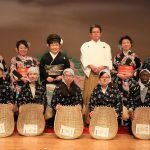 The interaction with the people from different cultural background with different folk songs made Yasugibushi gradually grow and more sophisticated. In the Meiji period, a versatile woman Watanabe Oito born in Yasugi became famous as a great Yasugibushi singer. In the beginning of Taisho period, she toured abound Japan with her troupe. 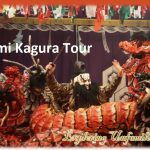 Everywhere they went people loved and enjoyed the folk song so much that the fame of Yasugibushi has spread widely and rapidly throughout Japan. The troupe made such a success that they also made their stages overseas such as in Korea and Taiwan! The founder clan is carrying on the tradition using the title of ‘Watanabe Oito’ and the current generation is the fourth. Yasugibushi has both merry and melancholic tones. It is possible to insert other regional folk songs in between Yasugibushi which is very rare characteristic! There are many lyrics in Yasugibushi and sometimes it is sung improvised accustomed to each unique occasion. Dojou-sukui is a folk dancing associated with Yasugibushi and the dance started in the end of Edo period. ’Dojou’ means loach, a small fresh water fish and ’sukui’ means to scoop up with a basket. It imitates scooping loaches and very well known for its comical and humorous movements and expressions. 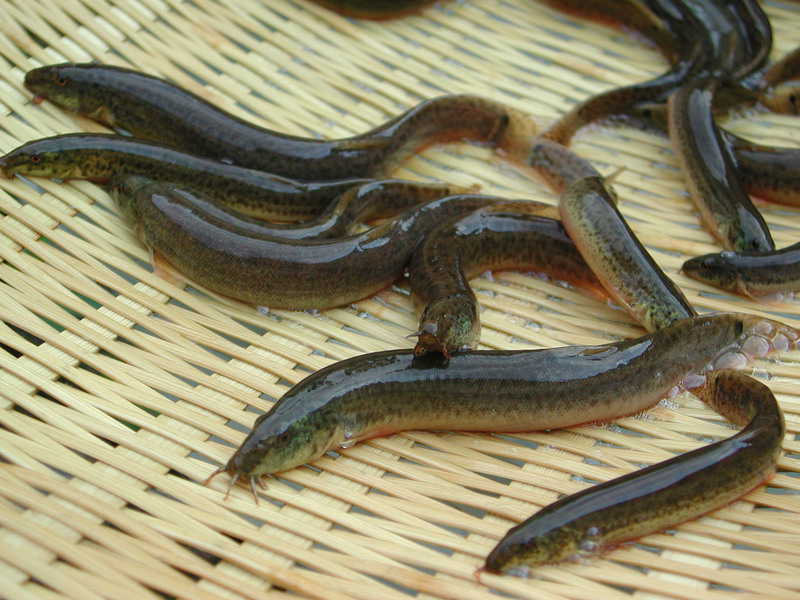 In the past, loach was one of the most popular foods and great source of protein as it is easy to catch and also contains a lot of calcium and vitamin D. Young men in the village in Yasugi used to catch some loaches for relish for their drinking parties at night. And on such occasions, their popular entertainment was making humorous dance imitating scooping loaches. The rhythm of the dancing matched with the rhythm of Yasugibushi so well that those two became inseparable. 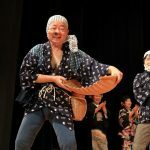 Thus Dojou-sukui dancing has been spread to the nation together with the development of Yasugibushi. 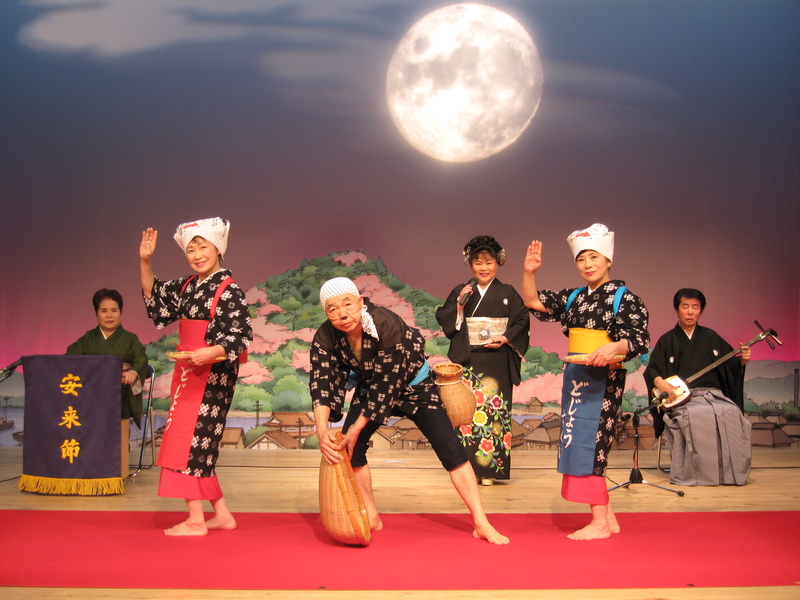 Dojou-sukui developed into two kinds of dances – male and female dance. They both describe movements of scooping loaches but their ways of expression differ. Zeni means coin in old Japanese language and daiko means drum. Dancer will use two decorated bamboo sticks, which have old coins inside and rhythmically dance with them. 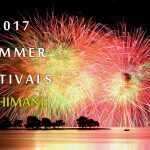 It is said that this performance started to entertain a federal lord in the Edo period when celebrating the completion of Matsue Castle and has been handed down as a regional folk performing art. It is believed that good fortune will be brought to anyone who watches this performance because its name, zeni (coin), is associated with lots of fortune! 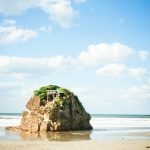 You can visit and listen to Yasugibushi in Yasugi City! Join in merry humorous Dojou-sukui workshops here!